Clear your calendar - It's going down! PRSA 2016 Tri-State Conference kicks off on February 23rd, and you're invited to take part in the festivities. 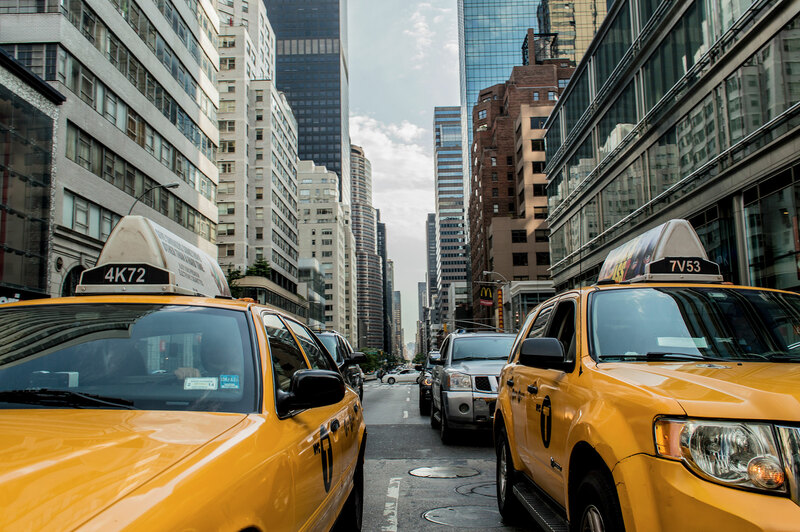 New York is our meeting spot for a day of fun and excitement. Come one, come all, bring a guest, and hang loose. This is going to be epic! Professionals and students in Corporate Communications, Public Relations, Public Affairs, Digital Communications, Marketing, Social Media, & Media Relations. We can't wait to see you there! Taking the stage for the conference keynote presentation, Justin McConney, Director of New Media for The Trump Organization, will sit down with Natan Edelsburg, EVP at Muck Rack & Shorty Awards, for a “fireside chat” exploring the ins and outs of running the social media strategy for one of the world’s biggest media moguls. Assistant Professor of PR at Hofstra University and Author of "Pitch, Tweet, Or Engage On The Street: How To Practice Global Public Relations And Strategic Communication." As an event dedicated to advancing ones skills and experience in the field of public relations and marketing, we ask that all attendees respect the integrity of speakers, participants and other attendees; while social interaction via online channels is encouraged, this is not a media event and therefore we ask all those in attendance to refrain from publicly posting editorial content, unless otherwise discussed with a conference organizer. Arrive early and get fueled up for the day with our breakfast spread, network with attendees, and grab your front row seat for the conference! Going Global: Adapting PR Strategies for Different Countries and Cultures"
Presentation by Kara Alaimo, Ph.D., author of "Pitch, Tweet, or Engage on the Street: How to Practice Global Public Relations and Strategic Communication." Don't let this silly picture of beer fool you, we will be serving coffee. • How to develop an influencer relations program, and when is the right time to use an influencer? • What are some of the basics you need to know about influencer relations? • How do you budget appropriately for influencer endorsement and what can you expect? Eat some food, make some friends. There is no time to find that tired old crisis communications binder, call down the phone tree or wait for a thorough investigation. Your crisis has a trending hashtag on Twitter, the number of Facebook shares is rising and citizen journalists are contacting your former employees for comments. Basically, the house is on fire and you need a rapid response to prevent it all from turning into ash. The one eternal truth in crisis communications is not "if it happens" but "when it happens" - will you be prepared? In this session we'll examine what has changed in crisis communications and what PR professionals and executives need to know before the disaster strikes and how to act quickly to put out the fire. We will also examine some of the latest crises and how they were handled well or mishandled, from the Ryan Lochte Rio 'robbery' debacle to the Delta world-wide system outage. Fight that 2:30 feeling with (more) caffeine. Platforms like Snapchat, Instagram, Facebook Live and more have revolutionized the way brands can connect with their audiences, and PR professionals must be more technically savvy than ever to remain on the cutting edge. Communicating with consumers is no longer a one-way conversation. It’s a Twitter exchange, a live broadcast streaming online with comments posting in real time, an image or video transmitted to the whole wide world, only to disappear forever after just 24 hours. The content itself may be fleeting, but its impact is not. • How do you determine which platforms / voice / etc. to use? • Facebook / Twitter / Instagram / Periscope / Snapchat … what’s on the rise? What’s dead or dying? What is working perfectly right now? Meet Brian Anthony Hernandez — a multi-dimensional music journalist, the artist relations specialist at Genius, former senior music reporter at Mashable and 2016 contributor to Billboard and Forbes. He's the man music publicists go to when their celebrity clients need to be more than just seen and heard. As someone who holds the keys to the top echelon of music media, hear how covering the biggest artists in the world has changed over the last decade. In this session, Brian (a.k.a. @BAHjournalist on Twitter, Instagram and Snapchat) will sit down with industry peer Hugh McIntyre (Forbes contributor and music writer) to discuss what goes into conceptualizing and executing creative projects with artists, songwriters, managers, publicists and record labels for social media, live interviews, viral videos and editorial content. PRSA's fearless leader & CEO Joe Truncale to close out the conference with some inspiring words. Okay, NOW we have drinks! The 2016 PRSA Tri-State Conference, part of the official Communications Week programming, is set to be a full day of back-to-back panels and presentations from today's top PR professionals from New York, New Jersey and Connecticut. Attendees will glean insights from PR and marketing experts covering the issues, topics and trends on every PR practitioner's mind today and thinking into the future. Panel sessions will cover influencer relations, the evolving landscape of content creation and distribution, crisis communications, the art of the pitch, measurement and analytics, and so much more! Who should attend? Just getting into the world of public relations? Veteran of the industry? Still in school learning the ropes? This event is perfect for PR professionals at every stage of the game. Join us for intriguing conversations and to network with your peers! Over 150 PR and communications professionals attended the 2015 PRSA Tri-State Conference, “Thinking Differently About PR,” to network and learn from leaders in our industry. Although the conference took place in New York, attendees showed up from New Jersey and various parts of Connecticut. Check out our recap of the event if you missed it! The PRSA 2016 Tri-State Conference will take place at the NYU Kimmel Center for University Life near Washington Square Park. The Public Relations Society of America (PRSA) is the nation’s largest community of public relations and communications professionals. PRSA is organized into 10 regions, called districts. The Tri-State District covers New York, New Jersey, and Greater Connecticut. We understand. If you like what you see but aren't ready to take the plunge, we'll hold your spot on the guest list until early bird pricing ends on July 15th. Contact us by clicking the link below to get on the guest list.